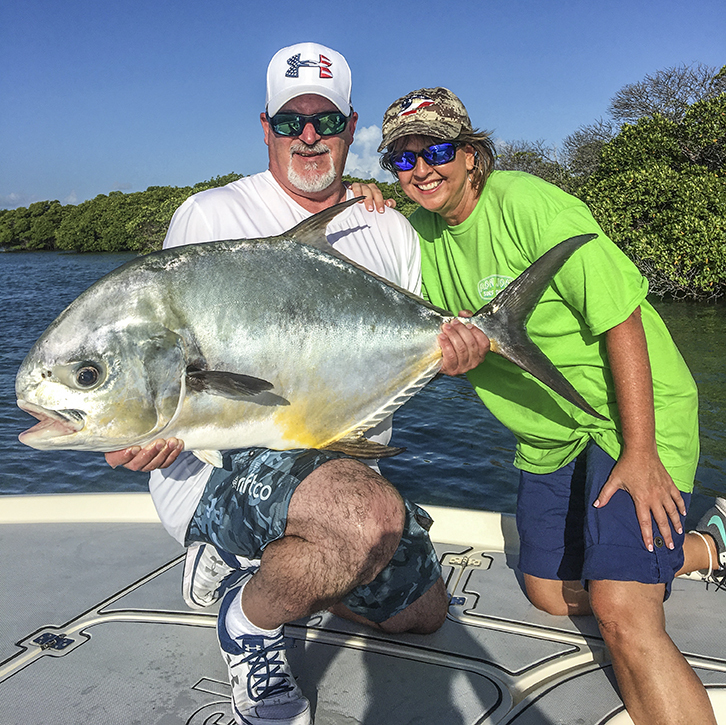 Home » Fishing Reports » Backcountry Fishing » Key West Flats Fishing Is On! Key West Flats Fishing Is On! 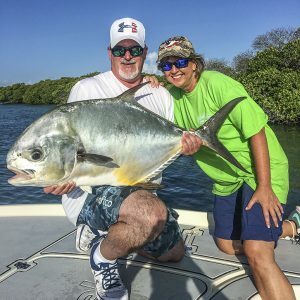 A beast of a permit caught fishing on the flats with Capt. Nick. Dream Catcher Charters was started as a flats fishing and backcountry fishing charter company. Its what we do and we are really good at it. August 19th 2017 – August, September through mid October are the months you should concern yourself with in Key West if you love flats fishing. The excitement of casting to a tailing bonefish, permit, tarpon, mutton snapper or barracuda is enough to keep anglers from all over the world coming back for more and more exciting flats fishing here in Key West. The conditions this last week have been epic and it looks like they are going to stick around. A little bit of a blow coming up for Monday and Tuesday then right back to perfect again. Great tides lots of flow and fish. The tarpon are still being found in the channels on the sides and in the cuts. We make it easy to get our anglers a shot at these fish using our trolling motors and push poles. Up on the flats there bonefish in the skinny waters chasing in the cooler tides and after the rains. Classic text book stuff for flats fishing anglers. Patience is a virtue as well as a keen eye for these guys as your shot may only be a second, then Whoosh.. they will we gone. Fly fishing or spin fishing is the way to get after these guys with your guide. Spin fishing is easiest fly fishing is the most challenging for those that want the shot. We can use our bay boats or our flats fishing skiff to get you out bone fishing. Permit are on the flats as well. The holy grail of fishing in Key West in my opinion is the permit fishing. I just love it. Spin fishing using a crab or fly fishing your choice we do both. The fish are being social and tailing separately every day on the flats this time of the year. Getting after them is easy with our fishing guides using either our bay boats or our state of the art fly fishing, sight fishing flats skiff. These guys are fun to catch but can take some patience to hunt. Other species we have on the flats right now are barracudas, jacks and mutton snappers. These guys can show up at any time to join the party. Thing is.. It seems every time we take a minute to cast at a barracuda or a jack just to get the rod bent. Here comes a bonefish or a permit. ugh.. damned if you do…. damned if you don’t. Check back often for more flats fishing reports and stories this season. Book Your Key West Flats Fishing Charter With Us We depart Out of the Only Backcountry Marina In Key West. Sunset Marina.